Call us on 01392 811 601 or contact us. We're open Monday - Friday (9am - 5pm) and Saturday (9am - 12pm). 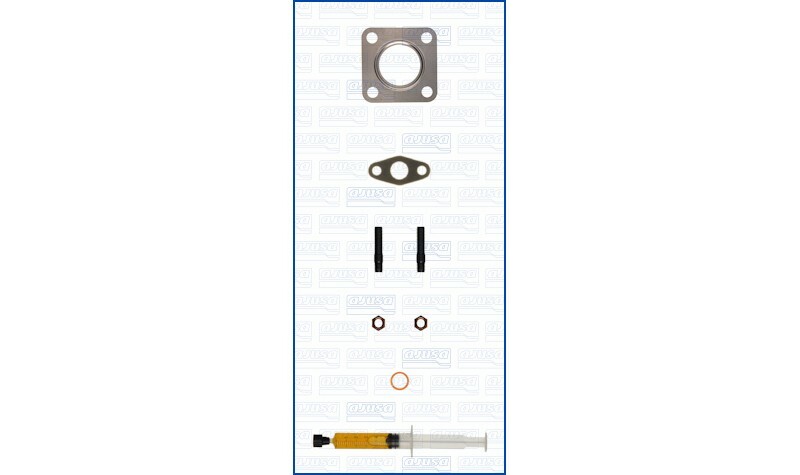 This OEM quality turbo gasket fitting kit includes all the components you need to mount your new or reconditioned turbocharger. This turbo mounting kit includes all the required parts if your application requires them: gaskets, seals and o-rings, studs with locknuts, a syringe with oil and an instruction manual. Please refer to the main image as that shows what you will receive in this specific kit. Have a question? Call us on 01392 811 601 or contact us. We're open Monday - Friday (9am - 5pm).